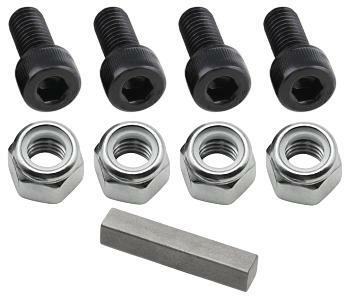 154mm (7-1/8") OD, 48mm (1-7/8") ID. 4 bolt mounting pattern. 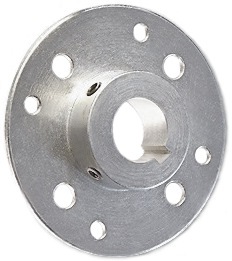 Adjacent bolt holes are spaced 48mm (1-7/8") apart from center to center. This sprocket is made of steel and gets its iridescent multi-color finish from being cadmium plated. 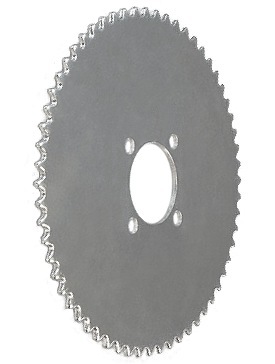 30 tooth aluminum sprocket. 3.618" OD, 2" ID, 2.875" bolt circle diameter. Four 3/8" ID bolt holes. Made of aircraft-grade tempered (hardened) aluminum alloy. 30 tooth aluminum sprocket. 5.057" OD, 2" ID, 2.875" bolt circle diameter. Four 3/8" ID bolt holes. Made of aircraft-grade tempered (hardened) aluminum alloy. 40 tooth aluminum sprocket. 6.653" OD, 2" ID, 2.875" bolt circle diameter. Four 3/8" ID bolt holes. Made of aircraft-grade tempered (hardened) aluminum alloy. 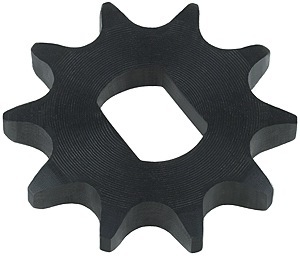 50 tooth aluminum sprocket. 8.284" OD, 2" ID, 2.875" bolt circle diameter. Four 3/8" ID bolt holes. Made of aircraft-grade tempered (hardened) aluminum alloy.